A Sneak Peek into our September Into the Wild box! Welcome to the Weekend Bookish Buddies! 1. Lots of our lovely August members are receiving their Tech Tribes boxes! We love seeing you guys unbox your parcels and get all excited over the items. We had so much fun putting this box together? We’d love to hear about your favourite items. If you missed out on this brilliant box (and you’re kicking yourself), for the first time ever we have a few spare boxes. To find out about purchasing an August TECH TRIBES box please send an email to thegirls@bookboxclub.com. 2. Our September INTO THE WILD BOX is shaping up to be one of our favourite boxes EVER! 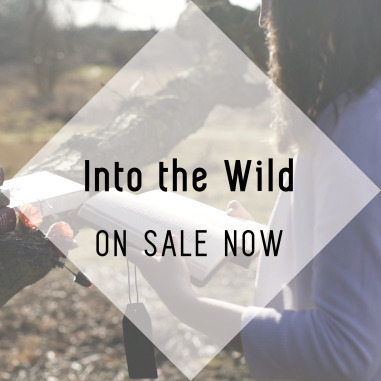 If you’ve missed all of our excited chatter, you might not have heard that our September INTO THE WILD themed box will mark our two year anniversary! To celebrate this huge milestone in the journey of Book Box Club we’ve planned an extra special box, featuring not just one but TWO BOOKS. All September Book Box Club subscribers will be treated to a stunning contemporary YA hardback about a great adventure AND a bonus advanced reading copy of a highly anticipated fantasy novel. You can find out more about our September books and check out our gorgeous theme reveal trailer on our previous post. Last weekend we also revealed that this box will feature an exclusive very beautiful and useful item inspired by one of our favourite childhood classics and illustrated by the extremely talented Georgine Makes! 3. And now, we have another awesome supplier reveal for you all. 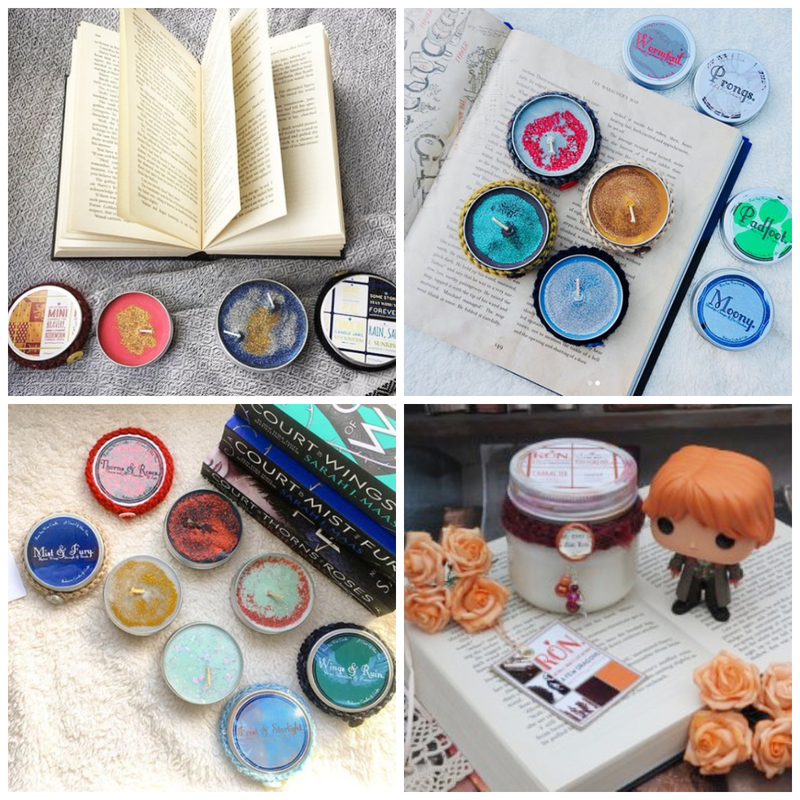 We are such huge fans of Danielle’s bookish candles, we can never pass up the opportunity to team up with her and treat you guys to one of her beautiful creations. thank you to @v.bookish for this gorgeous photo! Book Box Club veterans, may remember the Kaz Brekker candle Danielle made for our 2017 Troublemakers box and the awesome glittery Fangirl number from our Geeks Unite box this January, and now we’re delighted to be bringing you another amazing Bookworm Candles and Crafts Creation! 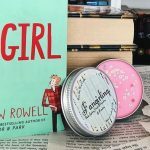 The candle Danielle has created for our INTO THE WILD box might just be our favourite yet: it’s inspired by one of Libby’s favourite YA series of all times (send us your guesses! ), smells AMAZING and is gloriously glittery. It’s also a Book Box Club exclusive, so only our members will be able to get their hands on it! To eye up some of Bookworm Candles’ gorgeous creations head over to Danielle’s website and Instagram. SEPTEMBER INTO THE WILD BOXES ARE ON SALE NOW! This contemporary hardback book will arrive gift wrapped and with a signed book plate from the author. Something about this story really struck a chord with us and we’ve been thinking about it ever since. If you feel like modern life is too much or you long for an adventure in the great wide somewhere; this is the book for you! As a special birthday box treat, this month in addition to our featured read, we’ll be sending our members a highly anticipated advanced reading copy of fantasy fairy tale adventure, which is not due to publish in the UK until November. Our bonus book stars a handsome prince, a distressed damsel, dragons and a wild kingdom! *The bonus book will be included in Book Box Club boxes only and not Purely Books parcels. All members will receive an invitation to our members-only online book group, where you can meet the author of our featured read and ask your questions! We are already so hyped to discuss our September book with you all! PHEW!! How awesome does all that sound? 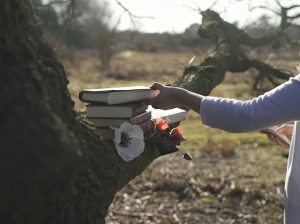 Remember, if bookish goodies just aren’t your thing, check out our PURELY BOOKS subscriptions. With Purely Books you get the same great featured reads as we include in our Book Box Club boxes and that all-important book group invitation to our members-only online Clubhouse, just without the extra bookish swag. That’s all from us right now bookish buddies, we wish you all weekends full of bookish adventures!